Using a sharp knife, finely chop the parsley, cilantro, shallot, garlic and red jalapeno. 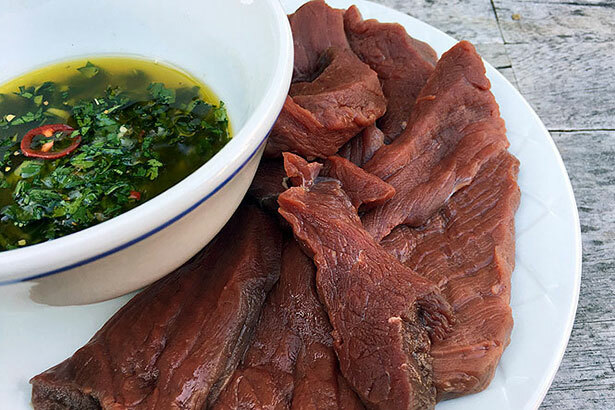 Put chopped chimichurri ingredients into a bowl and add red wine vinegar, oregano and honey. Slowly pour olive oil into bowl and whisk together all ingredients. Season with kosher salt and set aside. Slice elk meat into ½-inch thick steaks and put in a glass or ceramic dish. 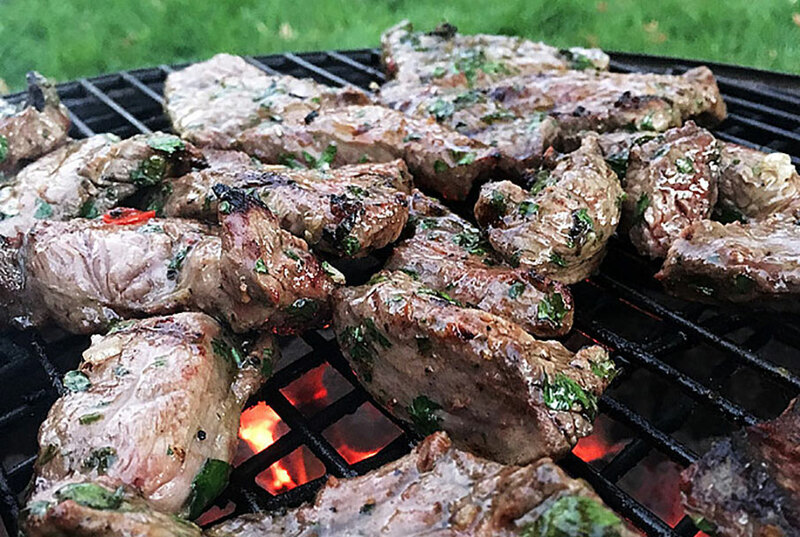 Pour ¾ of the chimichurri sauce over the steaks being sure to coat on all sides. Cover and let marinate for 1 to 2 hours or overnight. Grill venison elk steaks to your preferred degree of doneness. Spoon the remaining chimichurri sauce over the grilled meat and serve with sourdough bread and grilled vegetables. 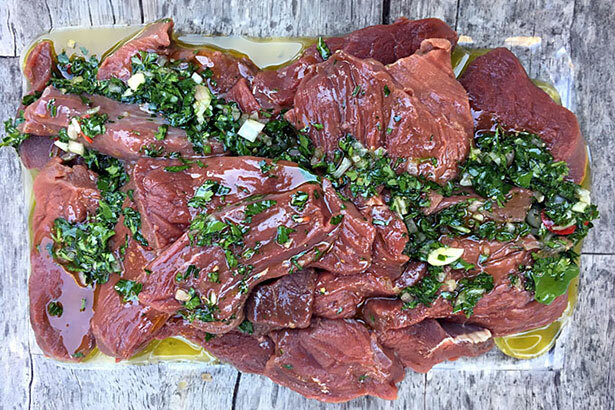 For more information about this venison recipe, please visit: //www.nevadafoodies.com/chimichurri-elk-steaks/.